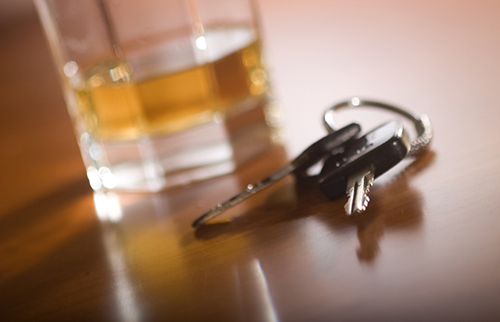 What Is a Misdemeanor DWI in New York City? | Raw Law | Law Offices of Adam M. Thompson, P.C. An arrest for driving while intoxicated, or DWI, is typically a frightening experience. Once the actual arrest and booking is over with most people start to worry about the ultimate outcome of the case against them. Specifically, people begin to worry about what their punishment will be if convicted of the charges against them. In order to know what punishment you are facing though you first need to know exactly what charges you are facing. Misdemeanor DWI and felony DWI, for example, do not include the same potential penalties. In New York, the alcohol related driving offenses typically increase to a felony when one of two things occurs. The first is when the driver has a BAC level that is exceptionally higher (0.18 percent) than the legal limit. The second scenario relates to a defendant's previous criminal history. For most alcohol related driving offenses the second (and subsequent) charge within a ten year period will result in being charged at the felony level instead of the misdemeanor level, regardless of the driver's BAC level. If you have recently been arrested and charged with an alcohol related driving offense in New York City it is imperative that you understand the charges filed against you as well as the potential penalties you face if convicted. Consult with an experienced New York criminal defense attorney right away to evaluate your case and get started on your defense. Contact the Law Offices of Adam Thompson today by calling 855-497-2326 to schedule your appointment.